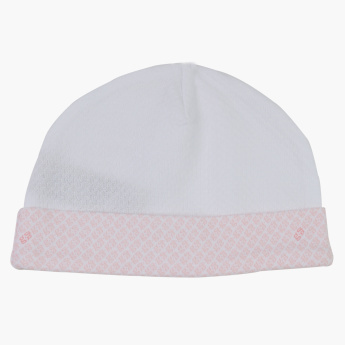 Keep your little one warm and cosy even on a breezy day with this beanie cap, which is made from a soft fabric. 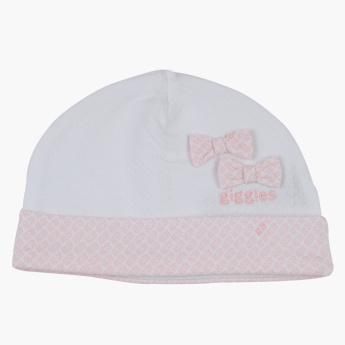 Featuring an attractive print and adorable bow detail, this cap looks stylish. Features : Helps to prevent baby from getting chilled.